Weather Impact is doing an assessment of the climate of the Eastern part of the Democratic Republic of Congo. 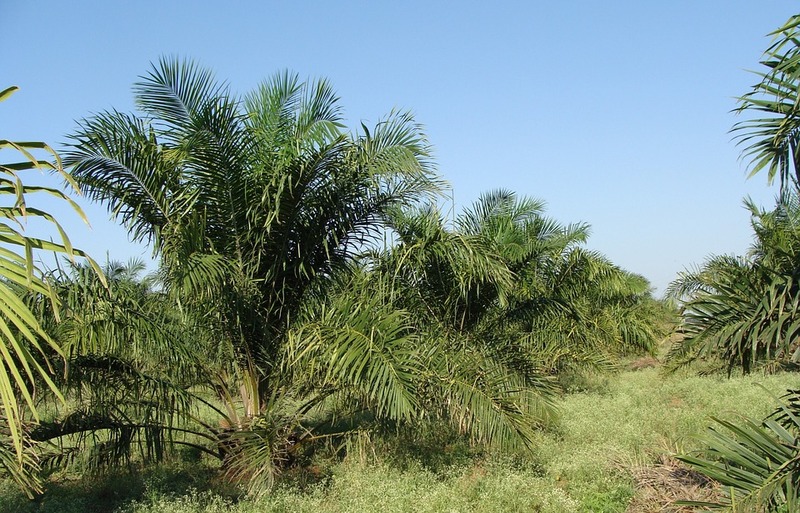 Goal of the assessment is to analyse the suitability of the area to cultivate Oil Palm (Elaeis Guineensis). Oil palm is a humid, tropical crop; it thrives best in areas with minimum temperatures above 20°C and an annual rainfall of more than 1800 mm, preferably equally spread over the year. The Congo Basin one of the three largest convective rainfall regions on the planet, under researched because of a severe lack of meteorological observations over the basin. Nevertheless, with support of satellite data and reanalysis datasets it is possible to get a view on local climate and its variability over time. Based on our data, value-adding maps are developed to inform about the suitability of certain areas to cultivate Oil Palm. On the left-hand side of the figure below the mean annual rainfall over Eastern Congo, Burundi, Rwanda and the great lakes is shown. The right-hand side of the figure shows a suitability map, indicating which places are best suited for growing oil palm based on rainfall. The colours on the map indicate the percentage of years with sufficient rainfall for optimal production of palm oil, darker colours mean the area is better suitable. Local differences in rainfall can be detected, explanatory factors for these differences are local topography, land use and the presence of lakes. Doing climate assessments in remote areas with a lack of observed climate data is challenging. Performance and reliability of data is hard to assess with a scarcity of ground-truthing. Satellite data and numerical models are an important source of information for these areas and although performance evaluation is constrained, it provides the opportunity to get an impression of local weather and climate variability. Tailored studies as presented here can help understanding the impact of local weather and climate change on the livelihood and food security of the people living there. 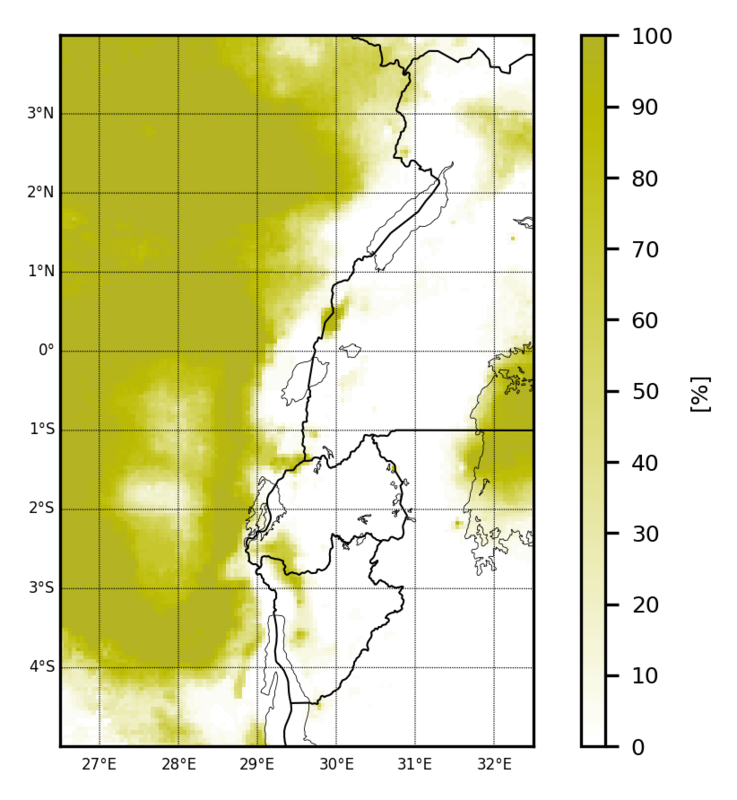 R. Washington, R. James, H. Pearce, W. M. Pokam and W. Moufouma-Okia, “Congo Basin rainfall climatology: can we believe the climate models?”, Philosophical transactions of the Royal Society of London. Series B, Biological sciences, vol. 368, p. 1-7, 2013. M. Carr, “The Water Relations and Irrigation Requirements of Oil Palm (Elaeis Guineensis): a Review”, Experimental Agriculture, vol. 47, pp. 629-652, 2011.